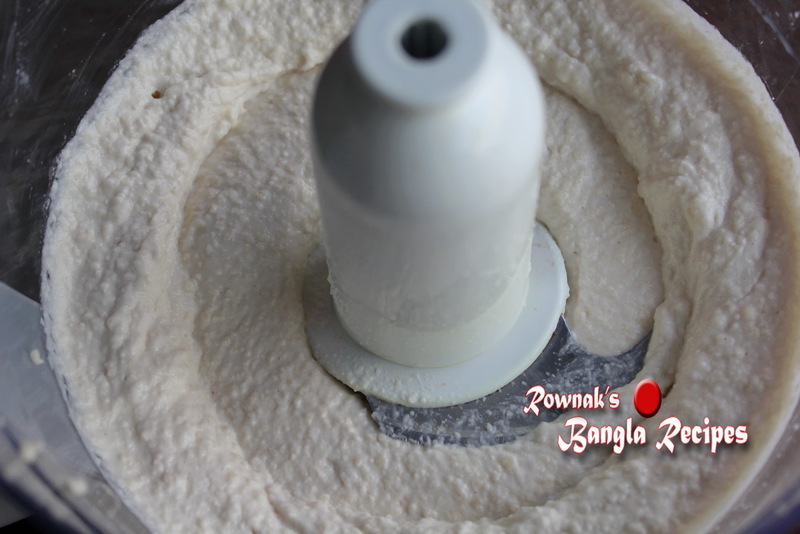 Some of us think Doi Bora /Dahi Vada is taugh / hassel to make. But I find it easy (follow the step). 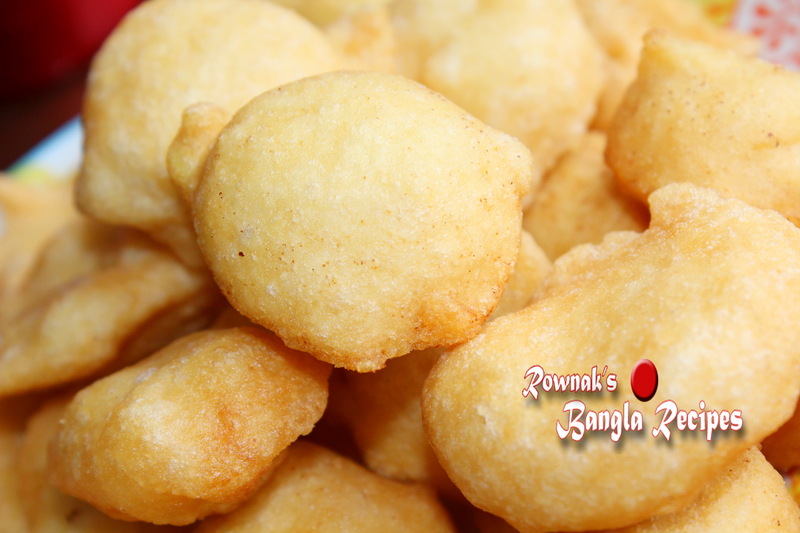 you can make bora / vada before (even week before) and keep in refrigerator / freezer (depend on how long you to keep it). then take out from refrigerator / freezer(for freezer one you need to defrost first) and soak in salty water and follow the rest of step. Thanks. Soak lentil 5-6 hours or overnight and blend it into a smooth paste (use as less water possible). Beat this paste with little water very well until fluffy. You can check the batter to drop into water, well beaten batter will float. If it isn’t floating, you need to beat more. Mix all the ingredients with this batter for fritter and deep fry at medium heat until it becomes golden brown. In a bowl pour cold water and put 1 tea spoon salt in it; soak the fried fritters this chilled salted water. Let them soak for 1-2 hours. Squeeze the extra water from it and place them on a serving dish. For the yogurt gravy mix all ingredients together except mint and ½ ts crushed chilli. Beat it to make smooth. Pour the yogurt mixture over the fritter/ bora and garnish it with mint and crushed chilli. Soak fritter in yogurt at least 2 hours in refrigerator before serving. 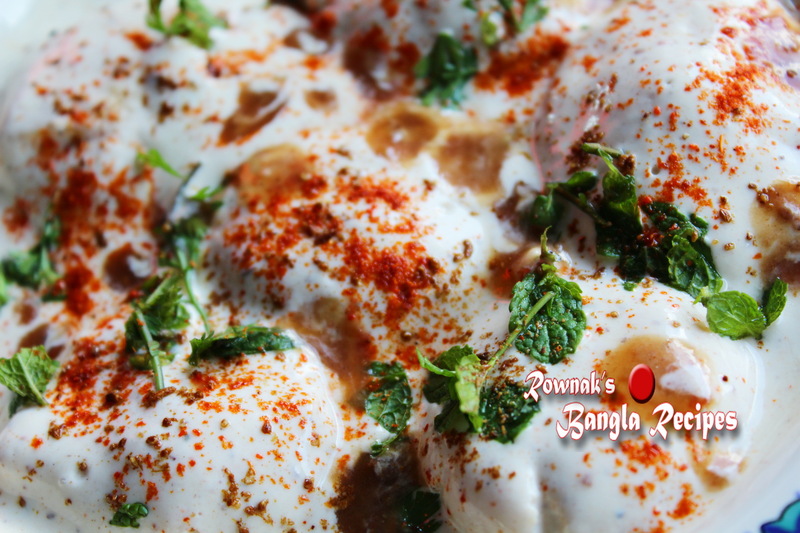 Doi bora / Dahi Vada is served chilled. Make sure that you are frying this fritter on medium heat, otherwise inside fritter will be raw. If your yogurt is to runny, use less milk and more yogurt or only yogurt. 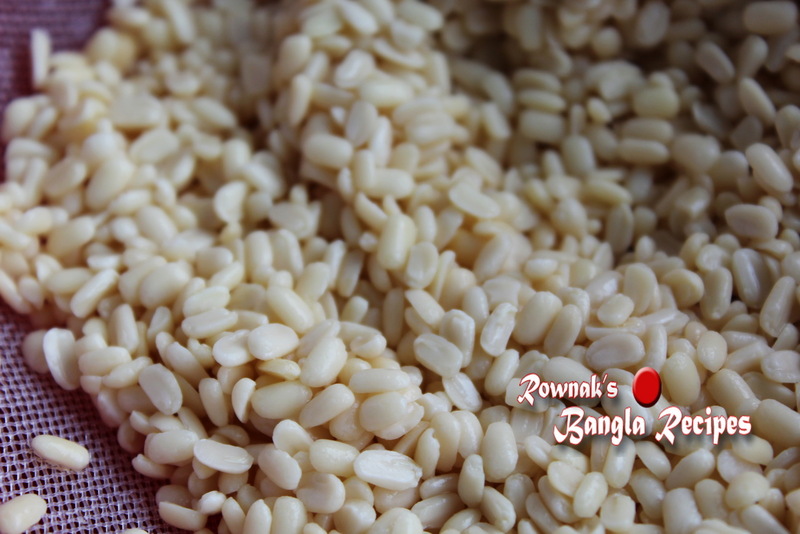 You can use sweet yogurt(misti doi) instead of yogurt. If all spices for yogurt are hard to get, just use chat masala/ chotpoti masala instead. 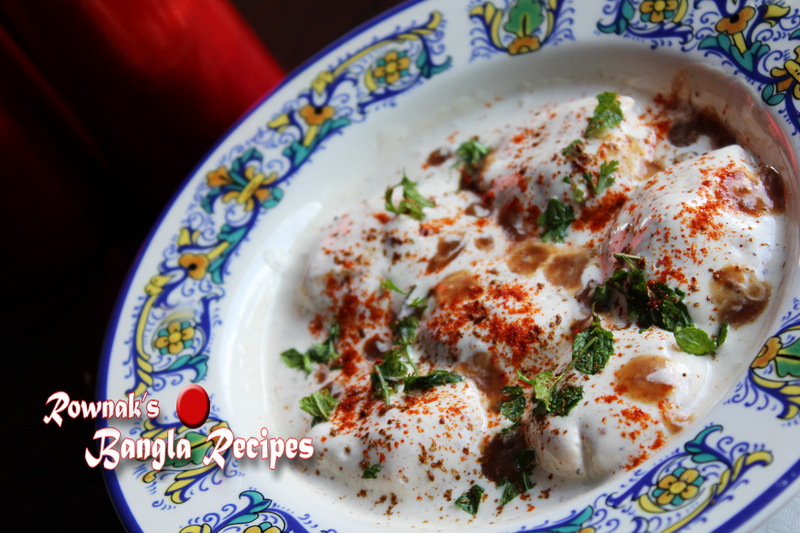 Some even likes tempering with cumin seeds and dry chilli on yogurt gravy, which up to you. Personally I dont think that you need to do. For Yogurt gravy I prefer taste as you go policy. বড়া উপর দই মিশ্রণ ঢালা এবং পুদিনা এবং গুঁড়ো মরিচ দিয়ে ফ্রিজে অন্তত 2 ঘন্টা রাখুন.